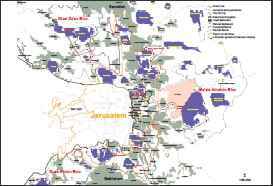 East Jerusalem Arabs have gradually been separating from their West Bank counterparts. The Arabs of eastern Jerusalem are caught in a vortex of emotions and mixed feelings of despair and hope, fatigue and vigor, envy and pride, dream and reality. 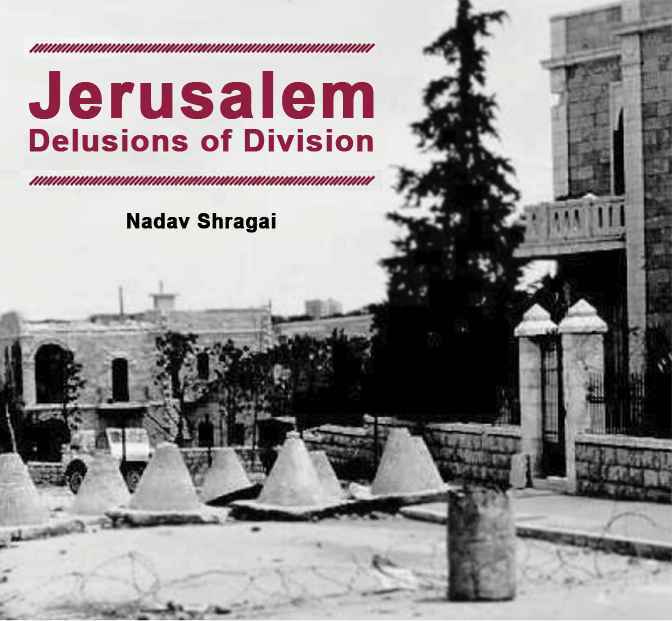 The contrast between the strong national and religious symbolism that Jerusalem (or al-Quds, in Arabic) holds for its Arab residents on the one hand, and their accelerated integration into Israeli society, both in the city and elsewhere, on the other has entangled them in a thicket of contradictions. 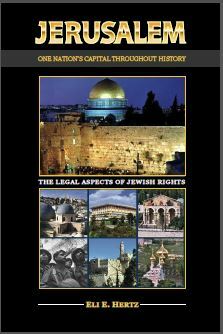 Recognizing the capital of the Jewish state—and considering the possible move of international embassies there—is now openly being debated in regions of the globe where Israel has faced considerable hostility in recent years. If you count every single violent fatality reported [in Jerusalem] this year in this city of 860,000 – not just political violence but apolitical homicides, too – the number is 27. That’s 27 too many, obviously. But it’s worth pointing out that 27 is less than a quarter of the homicide number last year in Jacksonville, Fla., a U.S. city the same size. [….] This week, I went to one of the big supermarkets in the [Talpiot Industrial] zone, on Ha’Oman Street, where much of the city does its grocery shopping. This is an Israeli area, but of the 50-odd workers I counted among the aisles of produce and cereal, at least two-thirds were Palestinian. One cashier, a Jewish woman in a modest hair covering, was serving three Muslim women in modest hair coverings. At a SuperPharm nearby, the scene was similar – an Arab female pharmacist serving a Jewish woman with a prescription, a Jewish cashier and two Arab guys stocking the shelves. [….] Palestinians and Israelis might not like each other, but their fates are becoming more tightly entwined, and everyone has more to lose if things fall apart. That’s a big part of the city’s secret glue. The glue is tested frequently – by a war in Gaza, for example, by Muslim sensitivities about the al-Aqsa Mosque, by Jewish extremism, by Muslim extremism or by Mr. Trump’s embassy announcement and the resulting calls for violence across the Arab world. The glue has held. [….] If you think an embassy is more important than a supermarket, you’ll miss the human drama in the produce aisle. 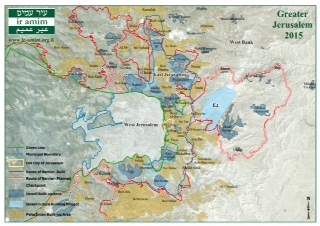 Here is a different, optimistic viewpoint on the position and placement of east Jerusalem’s Arabs within the fabric of Israeli society: 42% of this budget-deprived community, despite living in neighborhoods whose level of infrastructure and services is often reminiscent of developing nations, feel a sense of belonging to Israeli society – a very high and surprising statistic. The epicenter of the Arab-Israeli crisis will always be the Temple Mount, where both sides struggle over ancient history and modern-day politics. [….] If anything can be learned from these gory two weeks, it’s that this crisis was never really about the metal detectors. In the end, it boils down to an issue that has remained unresolved for much of the last century: Who controls this one slice of Jerusalem, which is the holiest site in the world to Jews and the third-holiest to Muslims? The crisis serves as a testament to the starkly different narratives surrounding this site and, in turn, the Arab-Israeli conflict itself. Arabs killed Arabs at a holy site, the Jews are trying to ensure that it doesn’t happen again, and the Arab world is furious with the Jews about it. Rightly or wrongly, the Jewish state voluntarily gave up control of its holiest place 50 years ago; any tweak it makes now to try to prevent a new wave of violence is marginal by comparison. 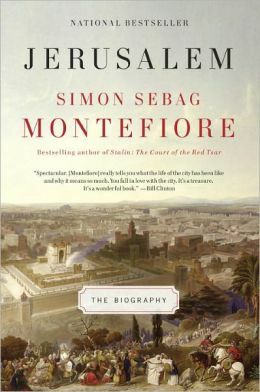 From a monk’s simple and enchanting illustration, through the French diplomat who omitted all Muslim sites from his ‘accurate’ map, to the Spanish Jesuit scholar who sketched elements that were archaeologically confirmed later on: Dr. Milka Levy-Rubin of the National Library of Israel explores Jerusalem’s different transformations as they were seen by Christian pilgrims, researchers and scholars. Why is there active Arab terror in Jerusalem and almost none in other Israeli cities with large Arab populations? A quick look at the numbers clearly shows that East and West Jerusalem cannot be split from each other. The West side’s economy is too heavily dependent on East-Jerusalem labor. A plan promoted by a group of liberal Israeli Jews would fence off most of the Palestinian neighborhoods and transfer responsibility for their residents to the Palestinian Authority. 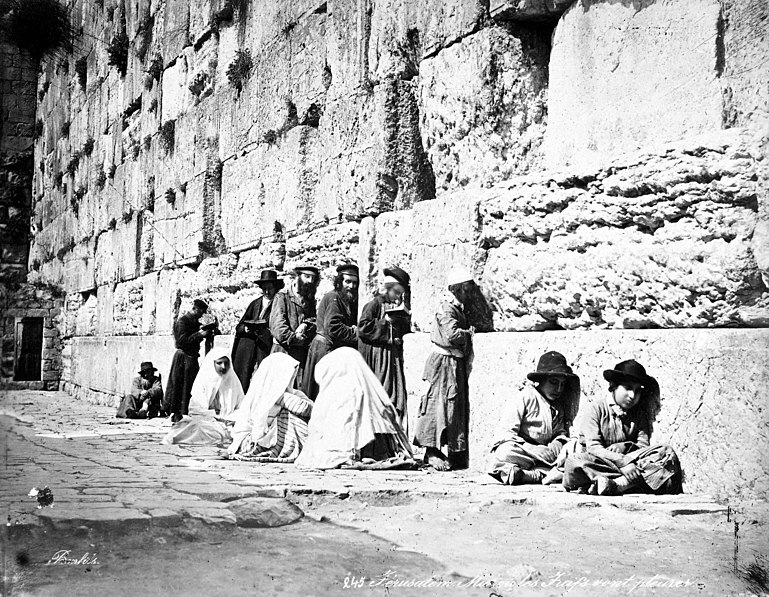 Since 1844, millions of photographs have probably been taken of Jerusalem. But these blurry snaps are the very first, taken by French photographer Joseph-Philibert Girault de Prangey in 1844.